The University of Connecticut has put out guidelines on what and how to recycle items on campus. 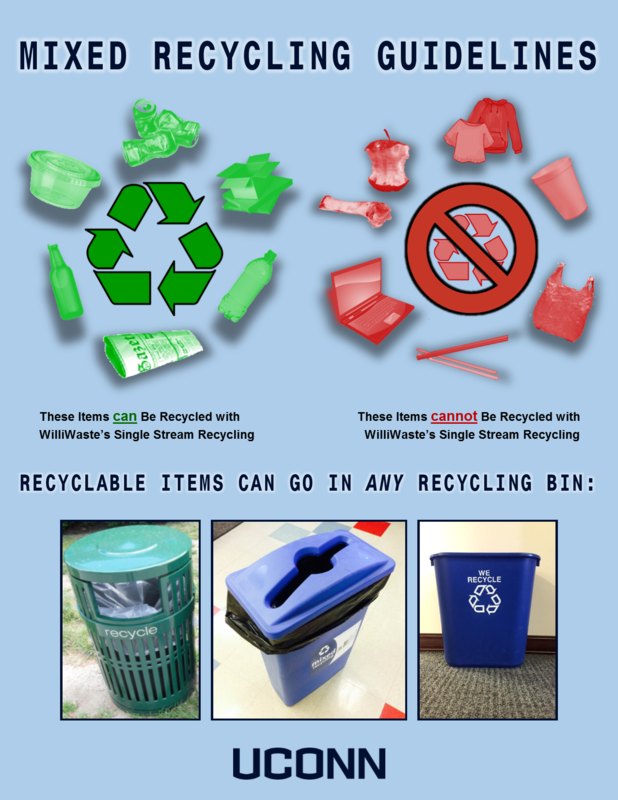 Because the University began a mixed recycling program in 2009, nearly any recyclable can be placed in nearly any recycling container. However, this is not the case for our regional campuses yet. Want to learn more? 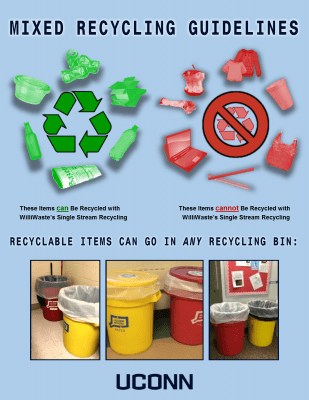 Check out these videos from UConn Dining Services and the Willimantic Waste Facility about their recycling efforts. E-waste has its own bin, located in the Student Union, UConn Bookstore, and Library. Questions about UConn's recycling policy and guidelines? Contact us at EnvPolicy@uconn.edu or at (860) 486-5773.